Guest House Our records show that this inn is closed. Lehighton bed and breakfast travel guide for romantic, historic and adventure b&b's. 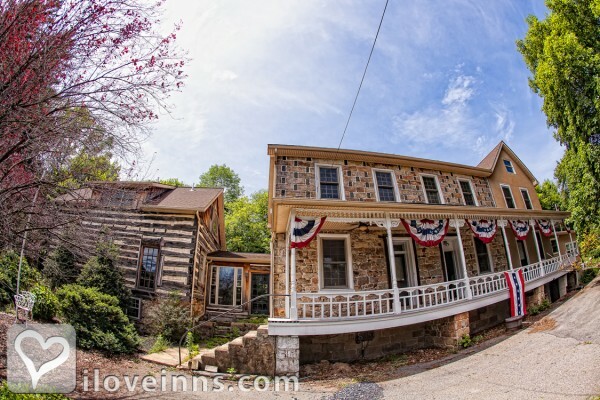 Browse through the iLoveInns.com database of Lehighton, Pennsylvania bed and breakfasts and country inns to find detailed listings that include room rates, special deals and area activities. You can click on the 'check rates and availability' button to contact the innkeeper. JIm Thopre is located on the southern most point of the Poconos. It regularly receive awards for being among the top ten coolest small towns in the USA.Jim Thorpe is an area rich in history in not only culture but the industrial revolution. The area has much to offer, with award winning wineries, all types of activities for the outdoor enthusiast. whitewater rafting hiking, train rides, biking. The Poconos is rich in local festivals, featuring music and the arts. Historic inns and many Pocono bed and breakfasts offer rich experiences. By The Inn at Birch Wilds.